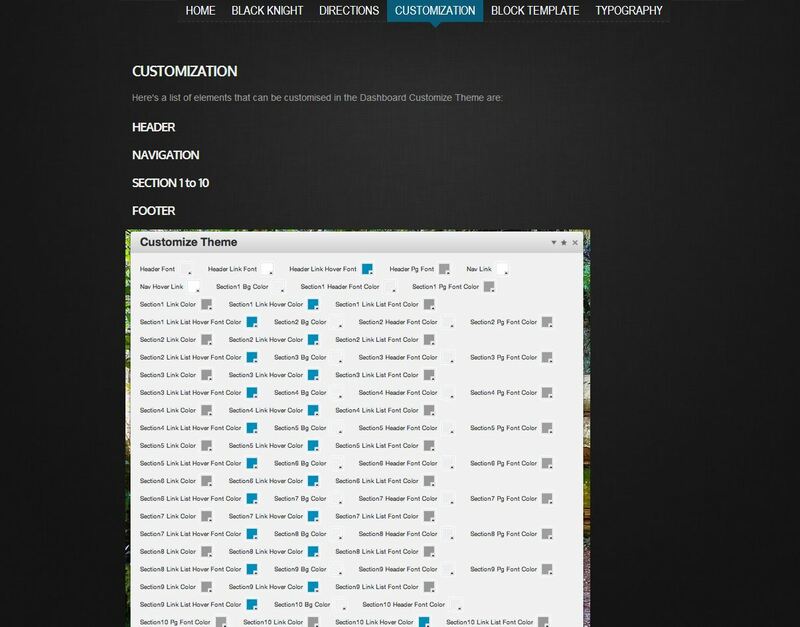 At C5extras, we are always pushing the envelope and in that tradition, Black Knight is an awesome new single-scroll, all-in-1 style template. It is super easy to use with your existing Concrete5 skills. 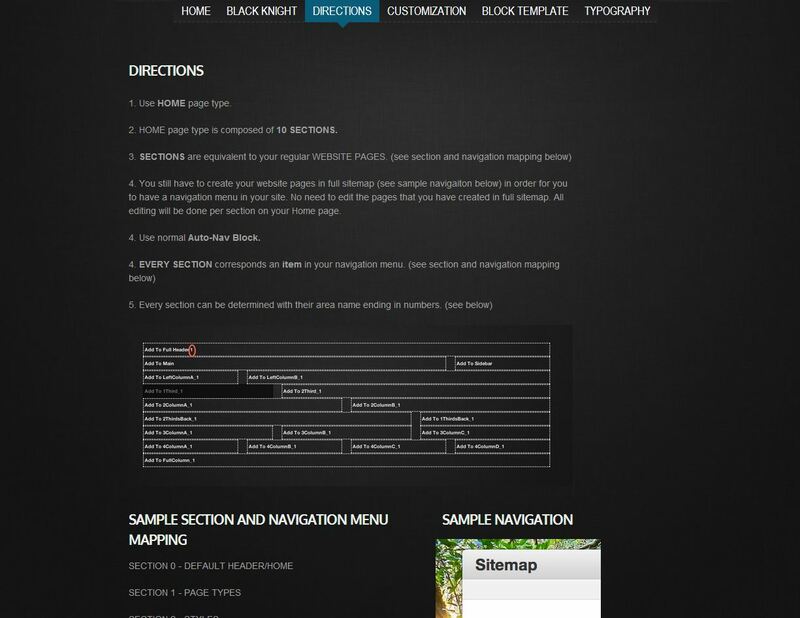 You must check out the demo to see in action and for simple step-by-step instructions on how to use it. If you only do one thing today, make sure it's trying out this demo. The silky smooth, dark charcoal colour treatment is easy on the eyes. And the automatically locking navigation menu means as you scroll down you're only 1 click away from any section within the page. Clicking the navigation menu results in a neat scrolling animation, so the visitor does not need to wait for pages to load. Instant gratification! Oh yeah! 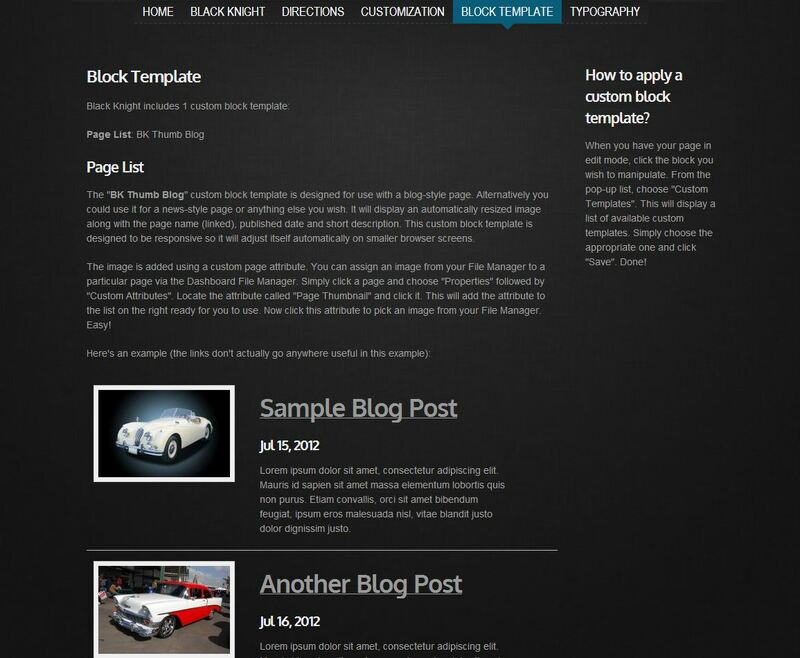 Black Knight is fully equipped with: dozens of customisable colours, mobile-friendly responsive design, 2 page types with almost unlimited layout combinations, and a "page list" block template perfect for a news or blog style page. All our themes are backed with fast, friendly expert support so you can purchase with peace of mind. 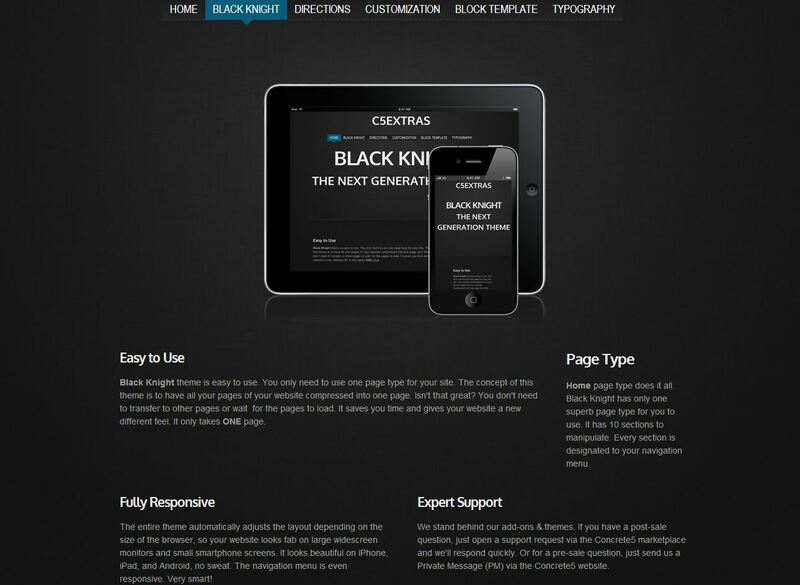 Impress your customers today, with Black Knight you can have your new all-in-1 style website ready in just minutes, not weeks.